Patti LaBelle has James Wright Chanel to thank for the viralness of her Wal-Mart sweet potato pies. Now, to keep the momentum going, the Philly singer has launched a line of cakes with the mega-retailer. After the pies flew off the shelves at Wal-Mart, the store not only brought back the pies but also created a new partnership with LaBelle. “We haven’t had so much excitement since we relaunched Twinkies,” said Kerry Robinson, vice president for bakery and deli at Wal-Mart, said in a press release. The two new cakes include a vanilla pound cake and a caramel cake. 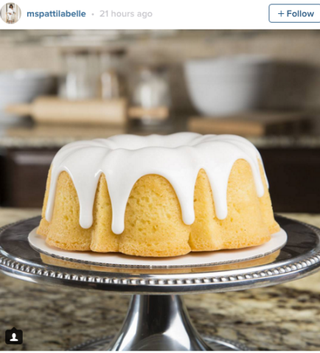 The cakes will launch under LaBelle’s own brand, Patti’s Good Life.